Dismantling Knife 1,000v Insulated Knipex Tools is the worlds largest manufacturer of professional pliers since 1882. Knipex Pliers, Cutters, Insulated Tools and other products have been the tools of choice for Professional Tradesmen and end users who are serious about their hand tools and demand industrial quality. Knipex Tools are made from start to finish utilizing the highest quality materials. Based in Germany, KNIPEX Tools are German engineered to produce a tool unmatched in the industry in terms of features, comfort, design and performance. 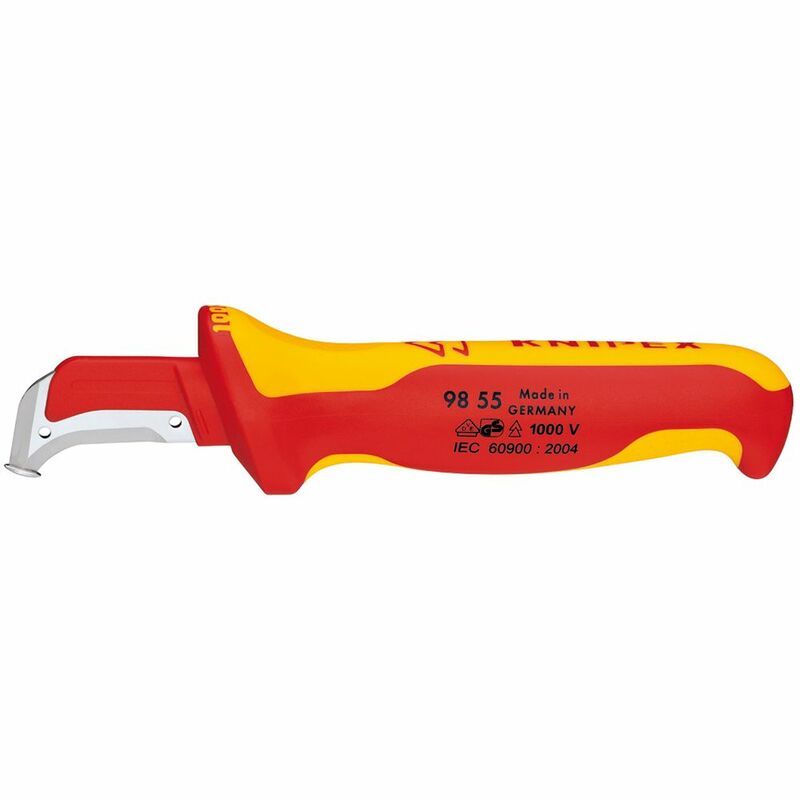 Dismantling Knife 1,000v Insulated is rated 5.0 out of 5 by 1. Rated 5 out of 5 by that guy from Best stripping knife ever IMHO been looking for this knife for awhile,IMHO best knife for stripping insulation.